We get a lot of questions regarding the possibility of a new rooftop or the lack of space on the current one so here’s a quick guide on how to maximize the space on your rooftop. 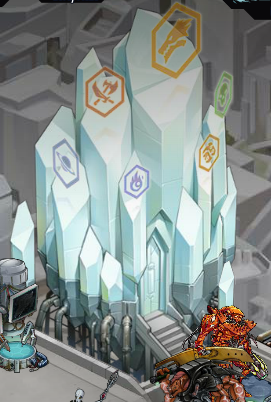 First of all, please note that your rooftop can welcome around 150 mutants when all of your buildings are installed (Evolution center, Med Lab, Incubator, Breeding center and Challenge Hall). Also, to fight against this lack of space, the “Freeze” feature has been deployed. This feature will enable you to freeze some of the mutants you do not use to free some space on your roof. Freezing a mutant will mean that you will not be able to use it in fights anymore. However it will be stored and you will be able to unfreeze it any time you want if you want to use it. 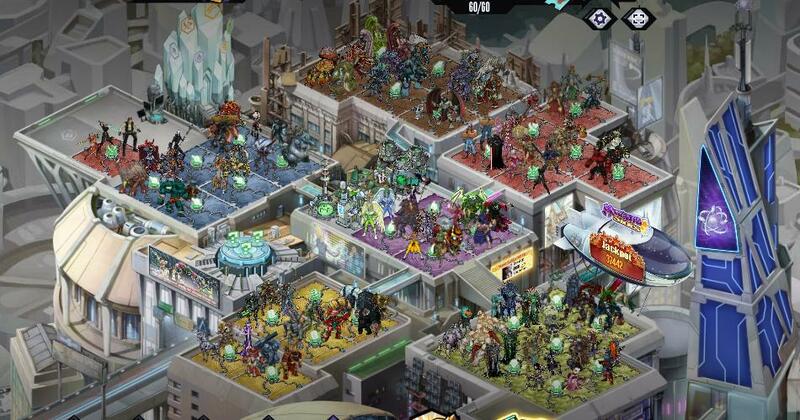 You can store an unlimited amount of Mutants. 1. Select the mutant you want to freeze. 2. Click it to open its card and click the "Freeze" button in the bottom right corner. 1. 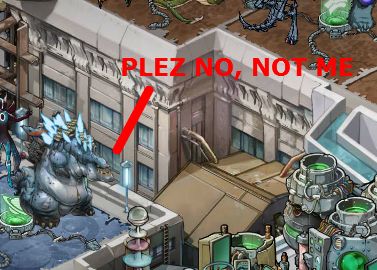 You will find your mutant in the building looking like an Iceberg, click it. 2. Look for your mutant in "my mutant"
4. Place it on a free spot on your roof. There you go! Now you can have all the mutants you need on your roof at any time! Have a great day and see you in the Arena! 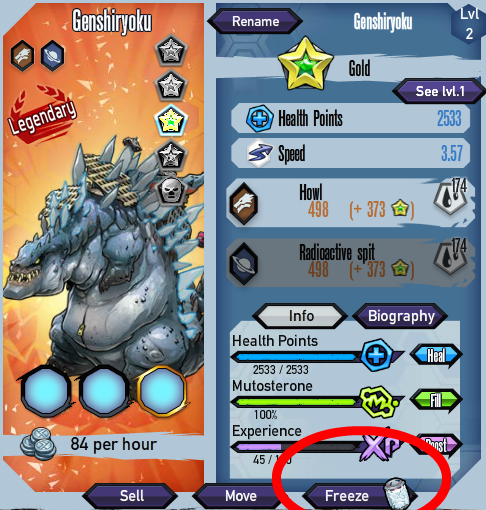 That we already know but we cannot get any benefits from freezing.Any idea's for that will be great. The most detailed guide ever XP This is what I do. If people want more money they can buy special compounds. Last edited by HolyG; 07-23-2016 at 08:14 AM. so how about if there is duplicate u should fuse into platinum then there is no space . i know freeze some mutants but that way is too tired freezing & unfreezing again . Hello ?! the players are not dumb, the main reason they are asking ..pleading for more roof space is not because they dont know how to freeze but for compound resources! 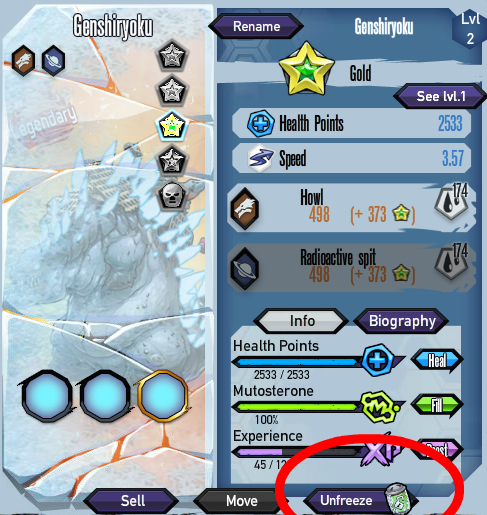 Not everyone can spend to buy premium compounds and even if they do.., the silver needed in evo level up is so overpriced (even with discount) that makes progress so slow making people lose interest. Who would play if they are stuck with little to no means of progressing? Thank you!!! I've been saying this for a long time. We need more rooftops for more credits to be earned. I maxed out all my zones with the premium zones,but that only earns me so much.If there were another section with more rooftops,i think that would help in earning more credits to even try to upgrade the evo with. Its not the space we're talkin about,but more rooftops for mo money! I've never thought it was a good idea to expand the rooftop anyway. Freezing is the best and probably the only option. 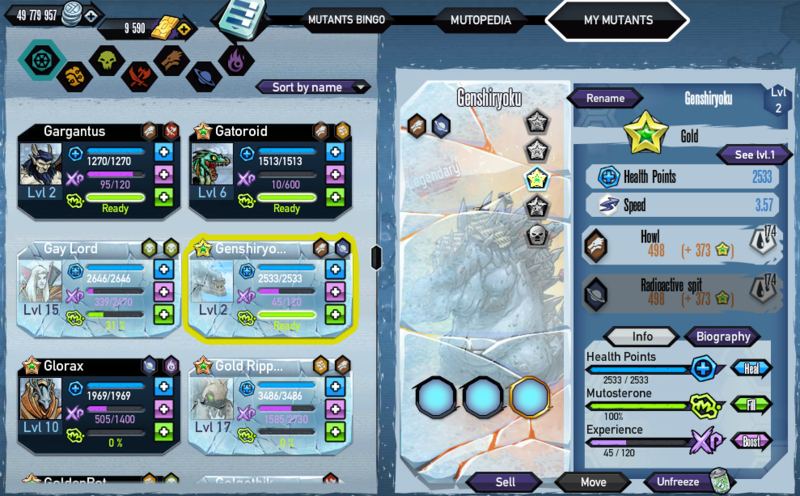 If you need to duplicate, then it's simple, just freeze a mutant from one of the compounds needed to place an unfrozen mutant and tah dahhh, you have your duplicate to level up if needed, and if it's already levelled to level 30 to fuse, then there are no issues. Me personally, what I do is I freeze my duplicates and anything that has been bred or collected, these get frozen as there are times I use them to sell for credits. If you use your rooftop well, it can turn out to be more than advantage, I have my system and it works great for me.